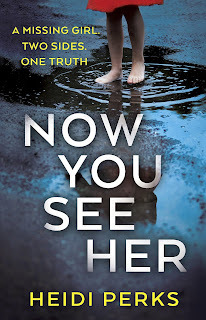 I was thrilled to see the release of Now You See Her by Heidi Perks, having previously read her outstanding debut, Beneath the Surface. This book deals with every parent's nightmare: a missing child, only Heidi Perks takes it a step further with the child going missing whilst being looked after by a friend. Harriet is a bit of a loner and Charlotte is her only friend. When Harriet goes on a course out of town she asks Charlotte to look after her daughter, Alice. This isn't a problem for Charlotte as she plans to take Alice with her 3 children to the village fete. As the children all run off to an inflatable ride, Charlotte checks Facebook on her phone. OMG!!! Why can't people leave their phone alone for 5 minutes? It really annoys me how people are so dependent on their digital life when they have a real life passing them by. Whist Charlotte is immersed in what her friends have had for lunch on Facebook, 4 children get on the ride but only 3 get off. Where is Alice? Charlotte's guilt is IMMENSE. Especially when she has to admit to having her eye on her phone and not the children. She doesn't even learn her lesson as she seems more concerned about what people think of her than what has happened to Alice. It's no surprise that Harriet doesn't want to see Charlotte when she and her husband, Brian, are given the devastating news that Alice is missing. Charlotte doesn't really know Brian as Charlotte is separated from her husband so they don't socialise as couples. It's a while before you realise that all is not as it seems in Harriet and Brian's marriage. Brian is a total control freak and plays with Harriet's mind even during the stress of Alice's disappearance. He is a totally detestable, manipulative character and he really made my skin crawl. Fearing for Alice's safety, I felt as if I was acting as judge and jury with Charlotte standing in the dock. I followed the breadcrumbs left by Heidi Perks and, with all of the facts laid before me, I attempted to untangle truth from lies but it's not a straight-cut guilty or innocent case. There's so much going on and lots to uncover before we really find out what happened to Alice. Now You See Her evoked such emotion in me (as you might have gathered from by Facebook rant). From the mental abuse being dished out by detestable Brian to Charlotte's (and the whole world's) Facebook obsession, I felt my blood pressure rising with every page and that is testament to the mighty fine writing of Heidi Perks. 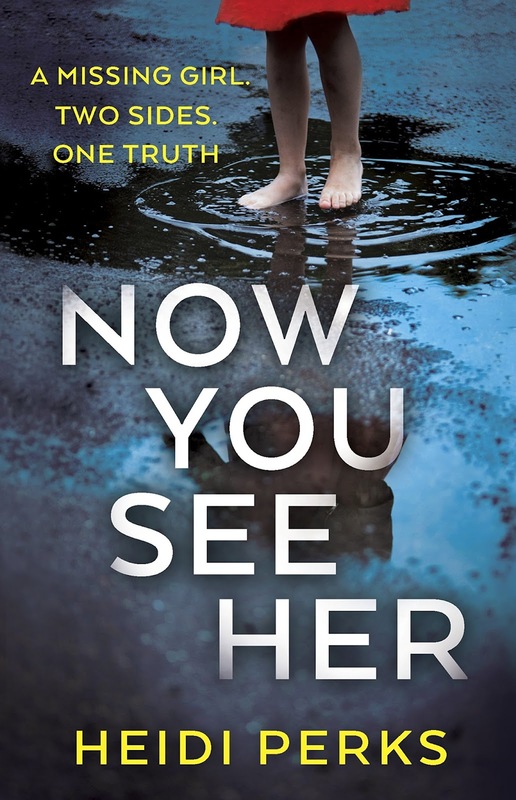 I am not surprised to learn that Now You See Her has been optioned for TV - it's an edge of your seat book and if it's half as good on the small screen, it will be brilliant. Now You See Her is a twisty-turny psychological thriller that really stands out from the crowd in this very popular genre. It's powerful, emotive, surprising and gripping - definitely one to pick up and discuss at book club or with friends. 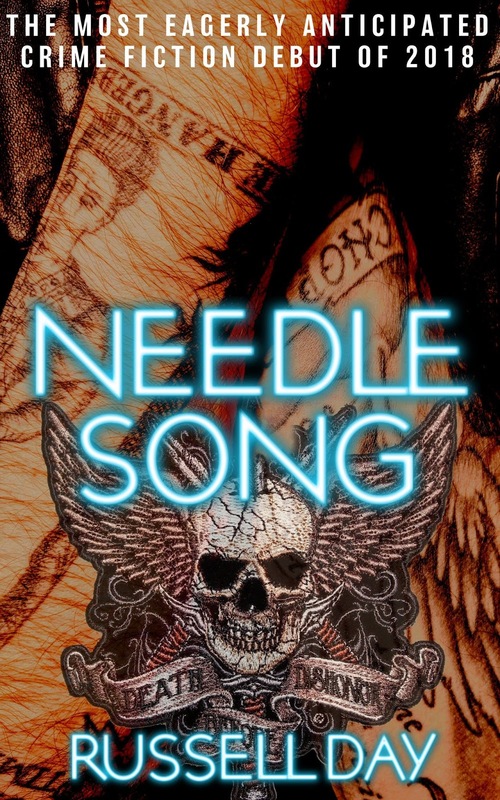 When a homeless woman, Cheryl Whiffen, hears voices in her head telling her to do bad things, she can’t help but obey. But when Cheryl becomes the victim of a serial killer who is collecting angels, this time the voices can’t help her. She is deemed not worthy of being an angel and the killer has to find another way to dispose of her body. TJ Tulley has connections in the police force – her brother Jacob is a digital forensic analyst and her soon to be sister-in-law is a CSI. She knows many of their colleagues so when someone breaks into her house at the riding stables she owns, it’s not a surprise when the police dispatch CSI Jackson Doherty. Is there a link between a suspicious fire at the stables and the serial killer? I knew from the cover and the title that this was going to be dark and creepy but I didn't realise just how much it would unnerve me. I haven't read any of the previous books in the series so I can definitely say that this book can be read as a standalone, although there are a few references to previous events that I suspect happened in the earlier books. It didn't affect my enjoyment of this book in any way as the author is so skilled at seamlessly weaving enough of the back-story into the narrative to flesh out the characters I was encountering for the first time. TJ Tully wants to expand her riding stables into the woods surrounding her property but somebody already thinks of the woods as their own and they have invested lots of time in burying their 'angels' under the woods. The killer will do anything to keep this special place as there are still angels to collect and bury there. TJ seems to have a run of bad luck after a break in and a fire threaten to destroy her stables but there is worse to come and even her angry busybody neighbour can't escape the cruel hand of Lady (Bad) Luck. CSI Jackson Doherty has a lot on his plate; Jackson is called on to investigate the strange events at TJ's stables but he can't seem to escape his personal life. After a one night stand, he's landed himself with a stalker, Nikki. Nikki seems to know his every movements and turns up at the most unlikely of places when she perceives TJ to be a threat to her happily ever after with Jackson. I loved this aspect to the story; Nikki is an absolute fruitcake! 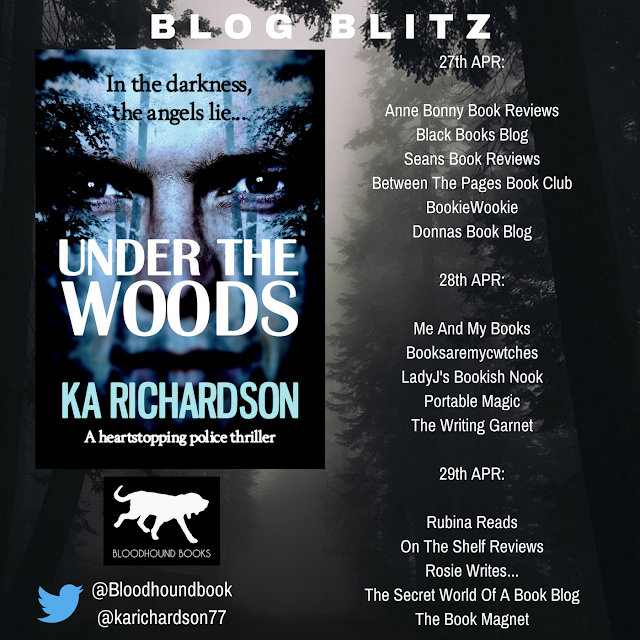 What I loved about Under the Woods (apart from it being set in my native North East) is that you don't have to wait until the end for a big reveal; the killer is revealed about two thirds of the way through. You might expect the pace to drop after that but it is actually the complete opposite as the danger levels seemed to increase to epic proportions. Once I knew who was collecting these 'angels', I felt as if the story became even more creepy (if that's even possible, as it's pretty creepy to start with). I felt my heart rate quicken and I even began holding my breath at times as the killer's confidence seemed to grow as time went on. With K.A. 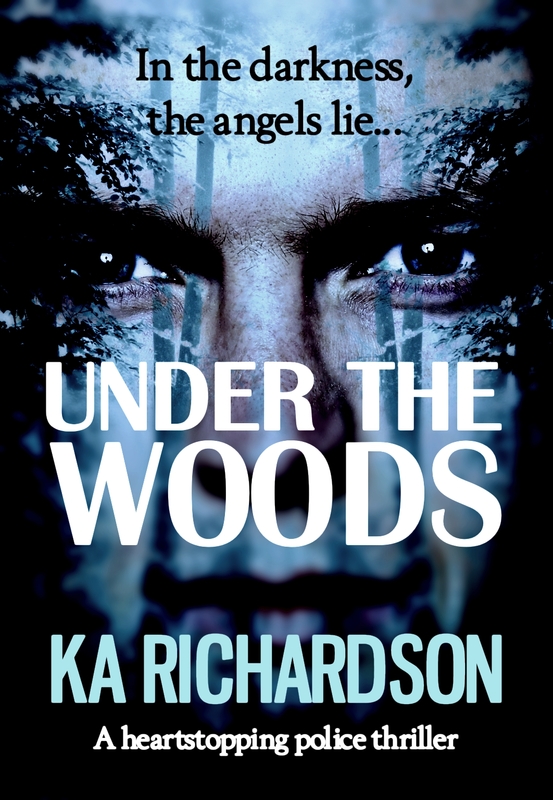 Richardson's remarkable attention to gruesome detail, Under the Woods is a Creepfest with a capital C; I can feel my heart pounding just thinking about it. It's one of those books that you live and breathe with every page and definitely one to read with all the lights on or you'll find yourself jumping at shadows. K.A. 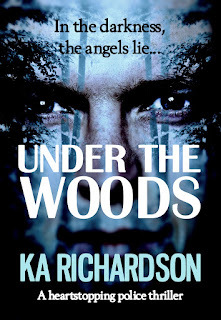 Richardson's Under the Woods totally creeped me out and I enjoyed every minute of it. I certainly won't be going down to the woods anytime soon. 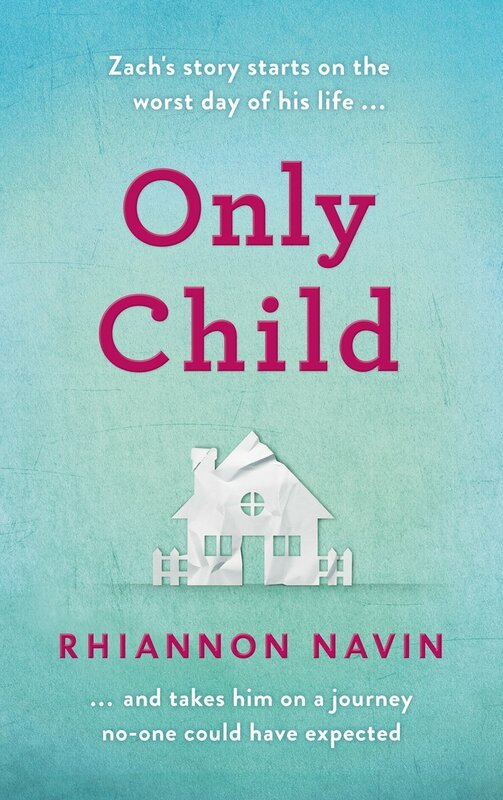 Addictive and emotional, but also full of hope, Rhiannon Navin's Only Child is the most heartfelt book you'll read this year. But can he achieve the impossible and remind the grown-ups how to love again? Oh my word, Only Child completely captured my heart; I felt as if my heart had been ripped out of my chest, given CPR and put back in again leaving scars that will remind me of this beautiful book for the rest of my life. Written from the perspective of a six year old boy who experiences the devastating event itself and the heart-breaking aftermath of a primary school shooting, Zach is a voice that I will never forget. I felt my heart squeeze as Zach talked about the sky crying and I almost felt as if I had to be strong for him, as I struggled to hold back the tears that kept threatening to fall. I don't want to write anything about the story as it could spoil it for others but I will say that Only Child is a book that is very hard to put down and impossible to forget. I was reminded of the stages of grief as I read about Zach's story and saw how the adults around him were behaving. From the shock of the initial event to the anger as the parents look for someone to blame and the final acceptance as life goes on. I compared grief for an adult against grief for a child and although we think children are resilient and quick to bounce back, I think it was good to show Zach's denial and anger coming through. It's also a stark reminder that little ears hear a lot more than we realise. I was so completely invested in Zach's story that I felt every single emotion with the characters in the book. I felt that Zach had a lot to teach us about acceptance and forgiveness but also that it's ok to be upset and angry. Zach's unique voice, so honest through his innocence, is written completely flawlessly making this a very special book indeed. 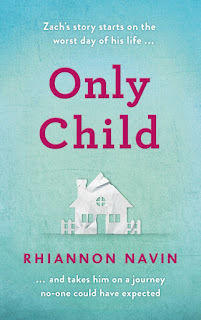 Only Child is an absolutely stunning book and I am completely astounded that this is Rhiannon Navin's debut novel. 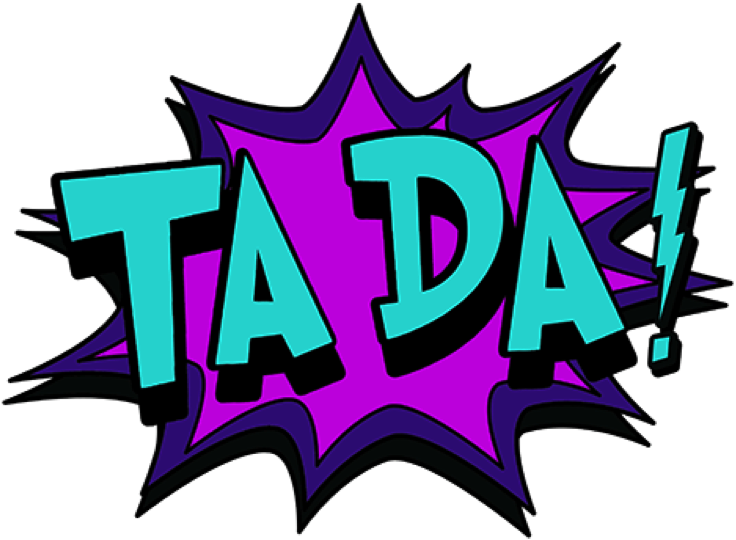 It's exceptional, outstanding, extraordinary, astounding...in fact it's all of the adjectives I can possibly think of and more! Only Child is definitely one of my top picks of 2018; even the coldest heart won't fail to be moved by this perfect novel of loss, hope and everything in between. I've got a fab cover reveal for you today with an added surprise so make sure you read right to the end of the post. Fahrenheit Press is a new publisher for me and I haven't had the pleasure of reading one of their books...YET! I have recently added a few of their books to my TBR pile, so watch this space for some reviews coming over the next few months. The cover being revealed today, and sure to make Twitter go CRAZY, is Needle Song by Russell Day. This must be one of the most hypnotic covers I have ever seen and if you think the cover looks good, just wait until you learn what the book is about. So when you've finished admiring the cover, here's what the book is about. Sounds great, doesn't it? So put a note in your diary to pick up a copy when it's released on 30th April. Now here's a special treat for all of my readers: the lovely Emma at damppebbles.com and the generous folk at Fahrenheit Press are giving people the opportunity to get a free short story by Russell Day in exchange for a Tweet. So follow the instructions below and head on over to Twitter to grab a copy! Christine Rose is either very lucky or very unlucky, coming across two men within a month of each other who are determined to end their lives. Reeling from the effects of Simon Conway's attempt to end his life, Christine, in her own imitable style, is determined to stop Adam Basil from jumping into the river Liffey. She has just two weeks to make Adam believe that life is worth living - she can do that, can't she? Let's hope so, or she's agreed to let him go back to jump off the Ha'penny Bridge on his birthday - eek! 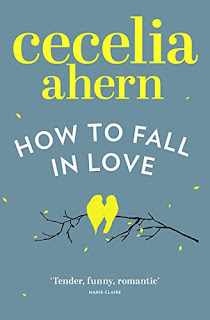 There's something so very comforting about Cecelia Ahern's writing - it flows so smoothly like the Liffey itself and there are many chuckles and sobering thoughts along the way. 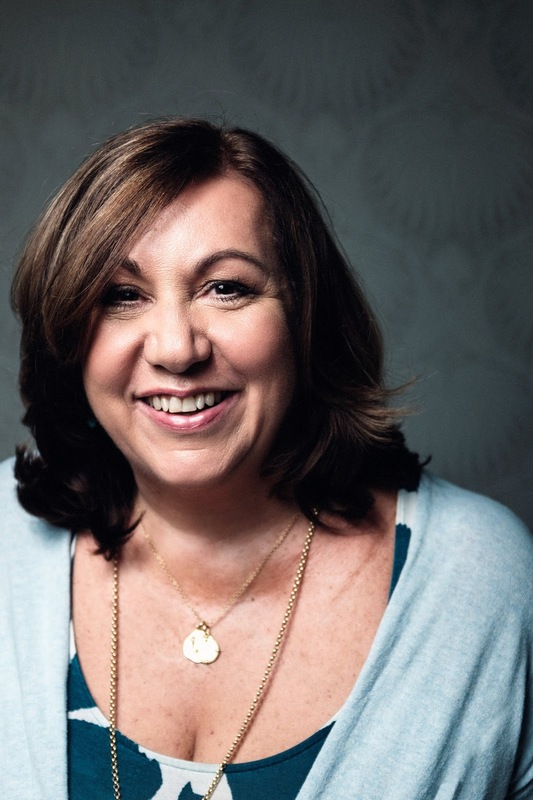 I loved the character of Christine and how she had a 'how to' self-help book for every occasion, but she doesn't have time to refer to her books to save Adam...she's just going to have to take a leaf out of the book of life. I thought Adam was quite a complex character who appeared to have everything but happiness in his life. It just shows you that money can't buy you everything and happiness can be found in the most unexpected place. 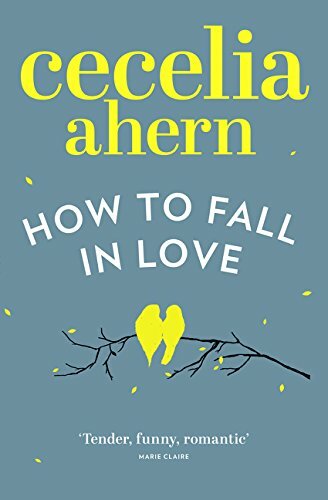 How to Fall in Love is full of Irish heart and humour whilst dealing with the very delicate subject of suicide in such a sensitive way. It reminded me that life is worth living even when we think that all hope is lost...you just never know what's round the corner on the bumpy journey of life. 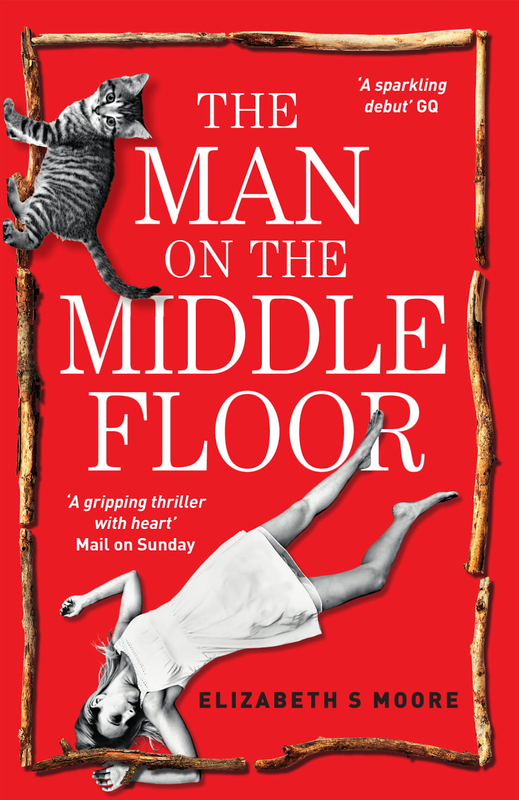 This was a really surprising book for me; from the cover, I expected a bit of an Agatha Christie-style whodunnit but the reader is party to the murders so we know who did it, we just need to find out why. We learn a lot more than that along the way in this thought-provoking debut by Elizabeth S Moore. 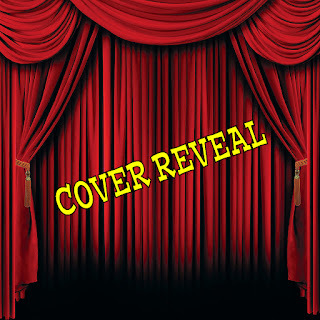 Each chapter is dedicated to one of the three main characters: Nick, the man on the middle floor; Karen the woman above and Tam the man below. It was really interesting to delve into the lives of these three very different, but equally flawed, characters who live in the same building but have never interacted before now. Anybody who has a heart will empathise with Nick who has Asperger's. I know very little about the condition but I can completely understand his need for routine and having everything clean, tidy and lined up correctly. 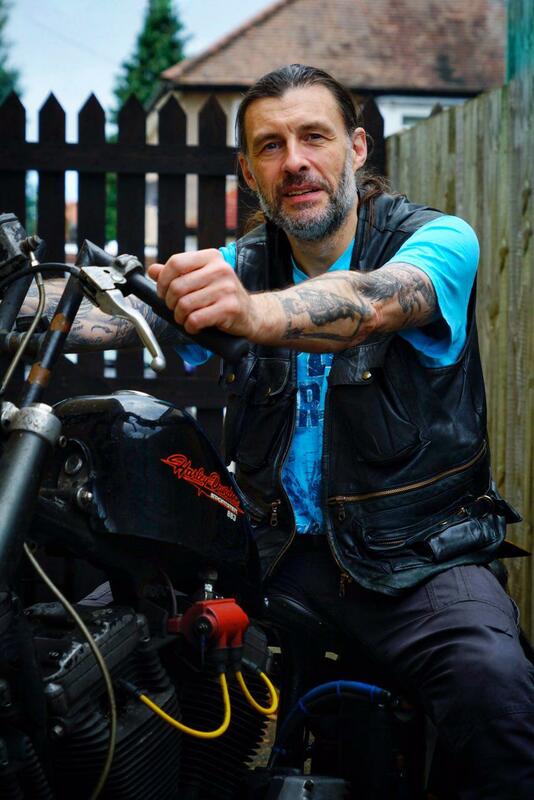 His story is heart-breaking and so sad to see how early family life can damage a person beyond repair. Another family damaged beyond repair is Karen's. 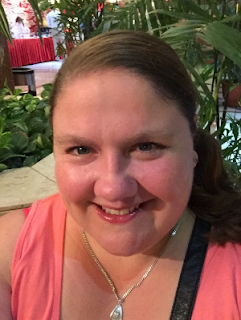 Karen has three children, or at least she gave birth to three children but after her marriage break-up she's quite happy to have no further contact until they are independent adults. Karen would much rather study people than get to know them and she constantly chooses work over family. Karen may be studying subjects with autism but, in my opinion, she needs to take a long look in the mirror as I think she could make a study of herself. Tam has just lost his job as a policeman but old habits die hard and he sniffs out something that's not quite right. He might have picked the clues up a bit quicker had he not been turning to alcohol to drown his sorrows. Tam seems drawn to Karen but does he just recognise another lost soul? 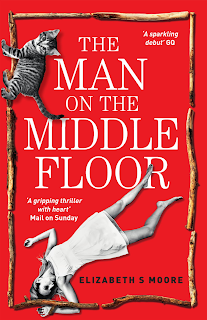 I loved the way the story of Nick's life was slowly revealed in The Man on the Middle Floor; I had already started to care about him and felt very protective of him when he started his new job in the morgue. Autism can be so varied that it has an entire spectrum so I don't think for a minute that this is how every person diagnosed as autistic will act. What The Man on the Middle Floor did for me, is open my eyes to a world that is either black or white for some people; a world where every action doesn't have a reaction, it's just an attempt to bring everything back to its status quo. 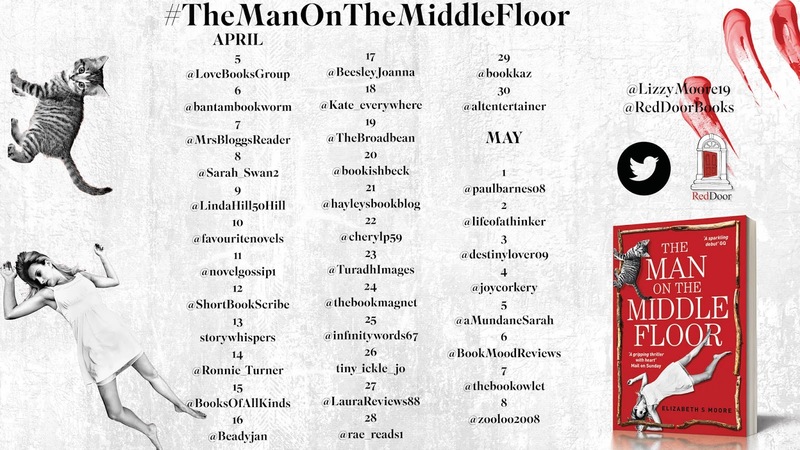 I think there'll be a lot of debate about The Man on the Middle Floor, and I think Elizabeth S Moore has taken a very brave step to put the subject of autism on the table - so let's talk about it. The Man on the Middle Floor is a perfectly crafted story that I think everyone will be talking about this year. 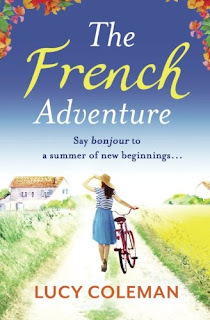 What a perfect cover for this heart-warming book; we usually expect amorous couples in a clinch on the cover of chick lit books so it just shows that The French Adventure is setting out to be something that little bit different from the rest. I loved the character of Anna - she is strong, talented and, after the first few chapters, single. Anna knows her own heart and mind, which is why she never responded in kind to the many 'I love you's' that Karl, her soon to be ex, seemed to say so effortlessly. Feeling betrayed by Karl when he doesn't admit to their boss that they are in a relationship, Anna needs to get away from it all and she has got the perfect location with her parents living in France. Not one to sit idle and mope over the love she has lost, Anna throws herself into helping to renovate her parents' properties and improving their digital presence. Anna also has the perfect medicine to get over Karl: working alongside handsome, but deep as the ocean, Sam. Sam is clearly suffering from heartbreak but any attempt to get close to him seems to push him further away. Anna's not one to give up easily though and she's as determined to fix Sam as she is to fix up the gites. This book was a real surprise; there's sunshine and romance but also a bit of mystery and adventure. I felt as if I was in France with Anna; as I was reading I could almost feel the sun on my face and Ziggy winding herself around my ankles and purring contentedly. 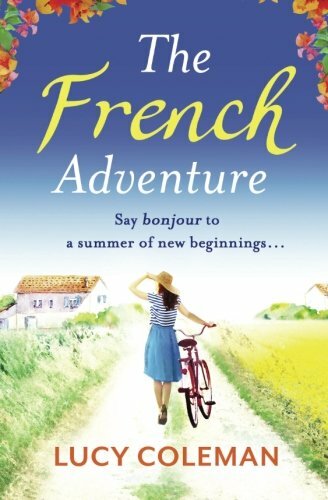 The French Adventure is the perfect summer read. 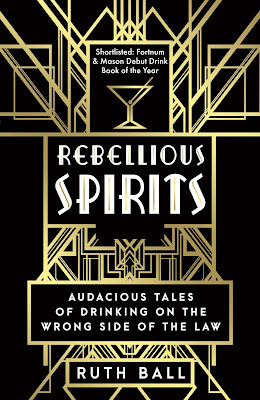 I reviewed the beautiful hardback of Rebellious Spirits in 2016 and you can read my review here. 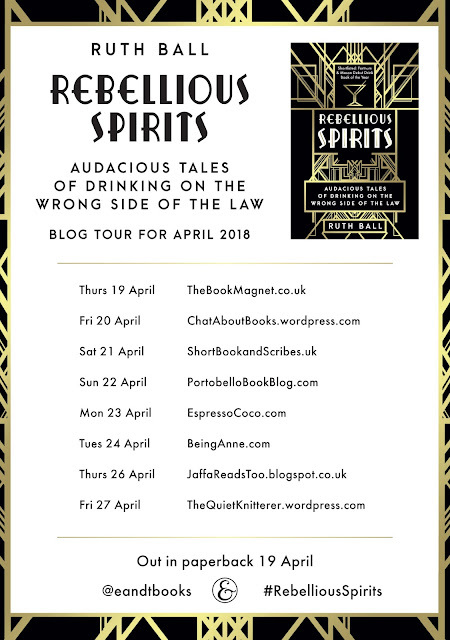 I'm absolutely over the moon to open the paperback blog tour with an extract on how to make your own bootleg gin and a fabulous giveaway (UK only) to win your own copy of this excellent book. I'd love to have a go at distilling my own alcohol although 20 gallons (just shy of an eye-watering 91 litres!!!) is a bit too much for me so I think I'll stick to the pre-bottled version of mother's ruin. With illegal gin sold from under a stranger’s skirt, you couldn’t be sure what you were getting. Gins had fancy names like White Satin, Blue Ruin, Cuckold’s Delight, King Theodore of Corsica, Flashes of Lightning or The Cure for the Blue Devils, but they were usually more turpentine than juniper. Even the less dodgy recipes for gin – those involving real juniper – were full of toxic ingredients. They were used in all kinds of food and drink at the time because their toxic properties just weren’t known. It wouldn’t be safe to try a truly authentic recipe for bootleg gin, but I have managed to put together a cocktail that should give you some idea of the taste without any of the nasty side effects. Seventeen gallons of spirits one to five under proof. Take one penny-weight and three quarters of the oil of vitriol, one penny-weight and three quarters of the oil of almonds, half a penny-weight of the oil of turpentine, two penny-weights of the oil of juniper berries, mixed with lump sugar and spirits of wine, as before; add to it one pint of lime-water, and one pint of rose-water; use the whole. After you dissolve five pounds of lump sugar, in two gallons and a half of water that was boiled, as before directed, fine it down with the proportioned quantity of allum and salt of tartar. Simply mix and serve. But how? With tonic? While this gin would be really lovely with tonic, that wouldn’t be authentic. Tonic wouldn’t be introduced to Britain for more than another hundred years; so while you could drink it with tonic, it would be a little like going to a re-enactment wearing a digital watch. Chilled or with ice? Although this gin would also be excellent shaken over ice with a splash of vermouth and served in a well-chilled Martini glass, historical authenticity will not allow. Drink it the authentic way. Just add a little water and drink at room/street temperature. If possible, try to throw some mud at an MP, or anyone who looks like they might be rich or important, at the same time. That’s the eighteenth-century way! If you like the sound of this book (and who wouldn't? 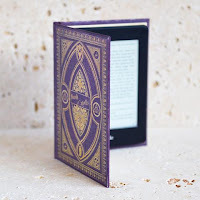 ), you can click HERE to buy a copy from Amazon or enter my giveaway to be in with the chance of winning a copy - you've got to be in it to win it! 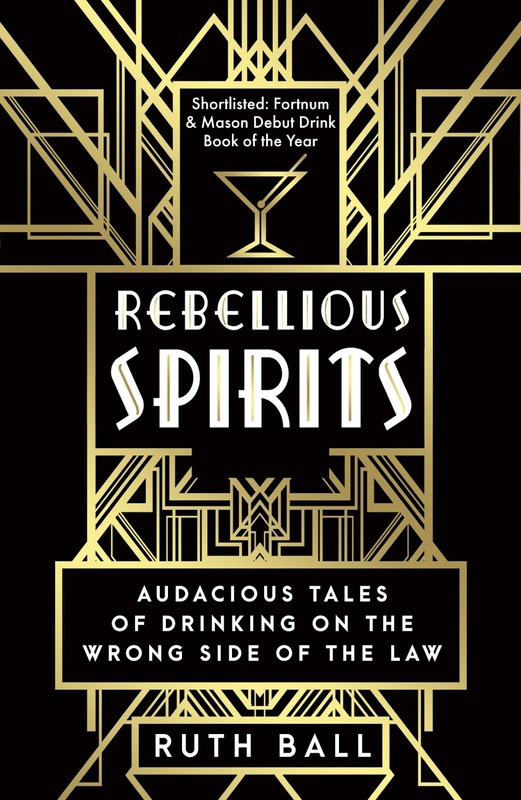 Win a paperback copy of Rebellious Spirits by Ruth Ball courtesy of Elliott & Thompson. The giveaway is open to entrants in the UK only and is open for 3 days from 19th April 2018 to midnight on 21st April 2018. One winner will be chosen at random and contacted via email on 22nd April 2018. If the prize is not claimed within 48 hours, another winner will be chosen. GOOD LUCK! Saul Marshall arrives in Atlanta in the wake of a shocking incident: a cop with a pristine record has inexplicably massacred peaceful protesters occupying the iconic CNN Center. But Saul, exhausted from months on the run from the law, fails to put up his guard. But when he is visited in the dead of night by a street gang, deploying extreme and seemingly unprovoked violence, Saul is forced to either get his guard up, or perish. And when he discovers that this same gang has already targeted two of his team-mates from his days serving in the FBI’s elite Hostage Rescue Team, striking back against the gang becomes not just a matter of survival, but revenge. But once Saul realizes that someone else is calling the shots – a deeply unhinged video-game addict, known only as Red, obsessed with inciting mass civil unrest – he quickly learns there’s a whole lot more at stake. I'm a huge fan of the Saul Marshall books by Richard Davis and I'm completely honoured to have a character named after me in Riot, the third book in the series. I've never met the author but, aside from being a robot scientist (how cool), the character he created does surprisingly bear an uncanny physical resemblance to me. I just want to take this opportunity to express my gratitude to Richard Davis for bestowing such an amazing honour on me. So enough about my immortality in print, lets see what Saul Marshall is up to in this third instalment. Saul, Greg and Thom were all members of the elite FBI unit HRT (Hostage Rescue Team) and when Thom is killed, the two remaining members become targets. Saul teams up with Rosa, Greg's ex-wife, who works for Homeland Security when riots sweep the USA. The riots are all being masterminded by uber-gamer, Red, who is manoeuvring people like pawns on a chess board as he turns virtual reality into reality. Red is after a certain prize: an antique gas mask last seen in Thom's possession, putting anyone who knew Thom in immediate danger. The question is: can Saul and Rosa stop Red before it's game over? Riot is a very clever book, but I have to say that it was sometimes a little bit complicated - it's quite technological so anyone who likes gaming and computers will positively love it. I know my fair share of computer coding but I've never been one for computer games so I did find it hard to engage now and again. Fortunately, Saul Marshall is such a well-developed character that he maintained my interest when the story sometimes got a bit geeky and with Saul around there are always going to be a multitude of heart in the mouth moments to raise my eyebrows and drop my jaw. Richard Davis is a highly talented author and I am frequently recommending the Saul Marshall series to other readers. 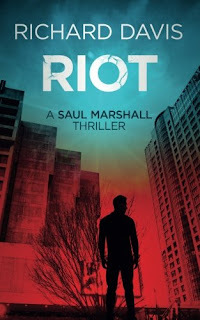 Riot can definitely be read as a standalone but it will make you want to read the other two books in the series to find out Saul Marshall's back story, so my recommendation would be to read them in order to get the most out of them. Needless to say, I'm really looking forward to seeing what happens next in the colourful, crazy and unpredictable life of Saul Marshall. Riot is so shockingly true to life that I defy anyone to read it without getting goosebumps. I'm delighted to co-open the blog tour for Ghost, the latest novel by Helen Grant. I'm releasing my review for the blog tour and I think this is a book that will appeal to so many people, especially those with a penchant for gothic tales. 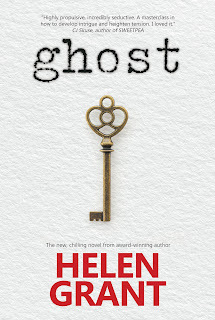 I was really looking forward to reading Ghost; the mysterious key on the cover alone gave me goosebumps so I prepared myself for some spine-tingly reading. It's an unbelievably addictive book; at only 10% in my Goodreads status shows that I found it 'intriguing and spine-tingling' and as the mystery unravels it gets even more interesting. Augusta is living at Langlands with her Grandmother, Rose. As a young child, Augusta couldn't pronounce her name correctly so the name of 'Ghost' stuck. Rose keeps Ghost hidden from outsiders for her own protection as it's 1945 and there's a war on. When there's some damage to the roof (from German bombers, as Ghost thinks), Tom McAllister arrives with his father to do the repairs. Ghost secretly communicates with Tom, who thinks that she's the Langlands ghost of the spooky kind...at this point I thought that she very well might be as something wasn't quite right. When Rose goes into the village one day and doesn't return, Ghost gets completely railroaded when reality hits. Everything her Grandmother told her is a lie and she is determined to fit all of the missing pieces of the jigsaw together to find out the truth. Luckily, Tom returns to Langlands to give Ghost the help she needs and we get to experience the purity of first love as Ghost and Tom grow closer together. For reasons that become clear, I thought Ghost might think about leaving Langlands and it's shady history behind, but it's the only home she has ever known and Langlands has its own hold over Ghost. One thing that really struck me was how well Langlands had been portrayed through the vivid descriptive writing of Helen Grant. It felt as if the house itself was a dark and brooding character with hidden secrets. People from the village stay away from Langlands and its ghost but perhaps Langlands itself is the ghost, it's certainly a shadow of its former colourful life. 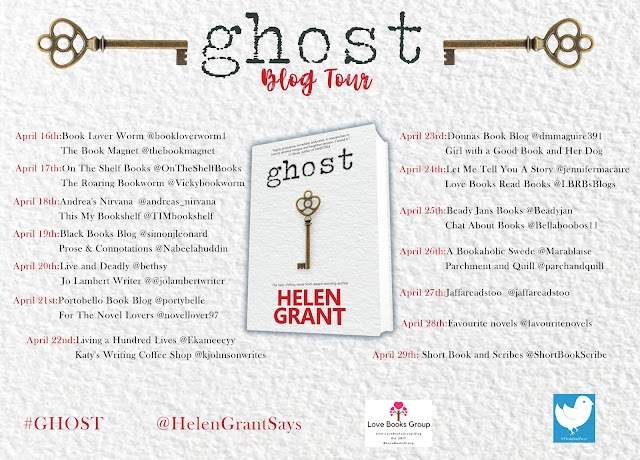 Hauntingly beautiful, spine-tingling and eye-poppingly surprising, Ghost is a completely unique and intriguing mystery that shocked and thrilled me. I'm definitely going to look out for Helen Grant's back catalogue whilst I await her next book. 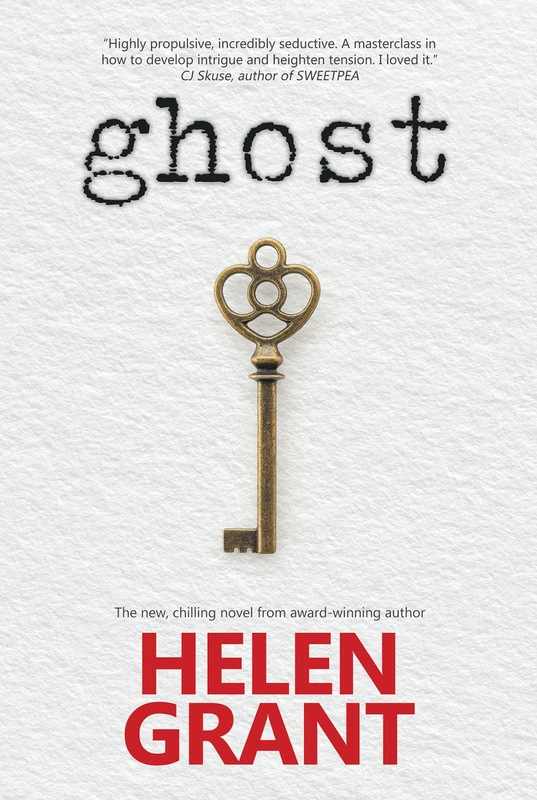 Helen's latest novel Ghost (Fledgling Press 2018) is set in Perthshire, where she has lived since 2011. 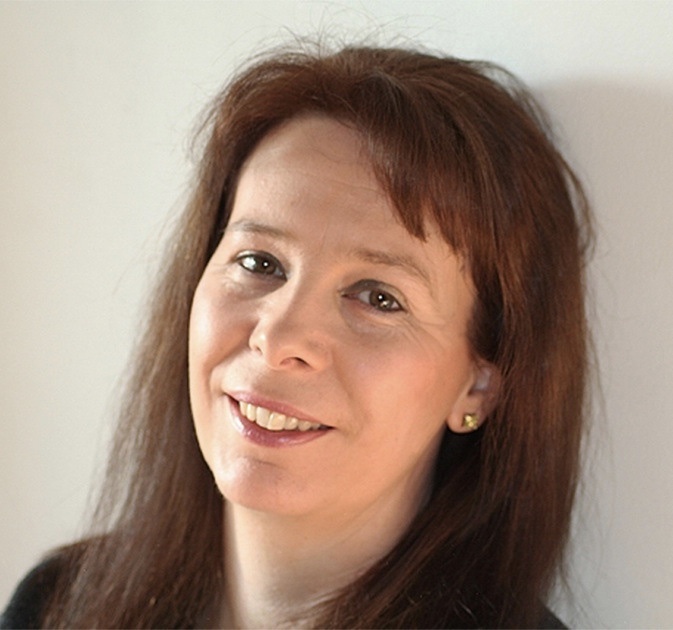 When she is not writing, Helen loves to research the lost country houses of Scotland and to visit the sites where possible. Her experiences of exploring these fascinating places inspired her to write Ghost.